Minnesota depends on small businesses to keep its economy thriving – and we need leaders like Pete Stauber in Congress to keep Main Street strong and our economy booming. As a small business owner who grew up in Minnesota, Pete Stauber has created good jobs for our state – and he knows first-hand the difficulties that small business owners face. He is a fierce advocate for limited government, and believes that fighting federal overreach by fixing our broken healthcare system, cutting taxes and defending small businesses from burdensome regulations will help Minnesota’s economy thrive. Pete is the political outsider and business leader Minnesota needs in the U.S. House. 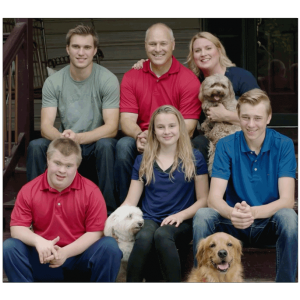 On November 6, vote Pete Stauber for Congress. Pete Stauber is a small business owner who grew up in Duluth, Minnesota. Stauber and his brothers own Duluth Hockey Company and have been NFIB members since 2011. Stauber attended Lake Superior State University on a scholarship to play hockey which led him to play hockey with the Detroit Red Wings Organization. After retiring from professional hockey, he returned to Minnesota. Having earned a BS in Criminal Justice as a student-athlete, Stauber began his career in law enforcement. He went on to become an Area Commander as well as the President of the Law Enforcement Labor Services Union. In the past, Stauber has served as a City Councilman for the city of Hermantown and since 2012, has been a Commissioner on the St. Louis County Board. Pete Stauber is a vocal supporter of taking healthcare out of the government’s hands and putting it into the people’s. Stauber supports current tax cuts that are coming with the Tax Cuts and Jobs Act, which have been beneficial for small businesses and NFIB members. He opposes raising the federal minimum wage, which if done, would have a devastating effect on small businesses.